Editor’s Note: For those who do not know, my wife had our second son, Brody, on December 30, 2011. I’ve been away from the blog in an active role for far longer than I would have liked. In my absence, Jim and Fred have done a fine job. However, my batteries are recharged and I’d like to jump back in with a multi-part look at some of the books I’ve bought and received for review over the last few months. TOCWOC’s Take: To say I’m looking forward to reading this book is a massive understatement. Although I didn’t review the first book in Donald Frazier’s “Louisiana Quadrille” series, I did read and enjoy it without taking detailed notes. This second book is larger than the first, weighing in at a hefty 630 pages. Here Frazier examines the much less well known fighting WEST of the Mississippi during Grant’s attempts to take Vicksburg. The maps are excellent and numerous, ranging from the entire west side of the lower Mississippi to specific portions of battles at the regimental level. The number of unpublished manuscripts and period newspapers consulted is impressive. In short, Donald Frazier is looking to do for the Civil War in Louisiana what Gordon Rhea did for the Overland Campaign, and I believe he will do it. This is an impressive series. 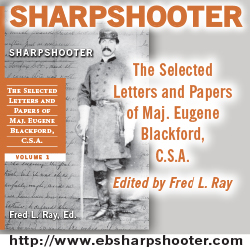 UPDATE: Drew Wagenhoffer has a lengthy and interesting interview with Dr. Frazier up at Civil War Books and Authors. 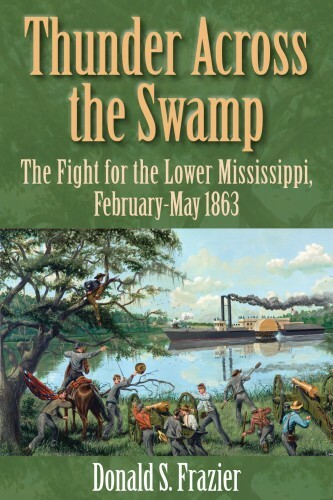 Thunder Across the Swamp: The Fight for the Lower Mississippi, February–May 1863 is the second of the four books in Donald S. Frazier’s highly acclaimed Louisiana Quadrille. 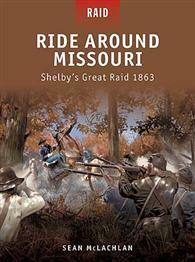 In this fast-paced narrative, readers ride along with gunboat skippers in duels along the Mississippi, trot along with cavalrymen as they slash their way through enemy lines, experience the dust and confusion of infantry assaults, and mourn with Louisiana, Texas, and New England families that watch their property and families destroyed by civil war. Most students of this national calamity may believe they know well the campaigns on the Mississippi; Thunder Across the Swamp promises to fill in the less well-known story of the fight to control the west bank during the crucial campaigns of 1863. TOCWOC’s Take: Who was Joseph Holt? I’ll admit to having never heard of the man until this book came along. During the Sesquicentennial of the Civil War we are going to see an unfortunate duplication of effort and retreading of old ground in an effort to make a buck. It is refreshing to see needed incursions into new territory. 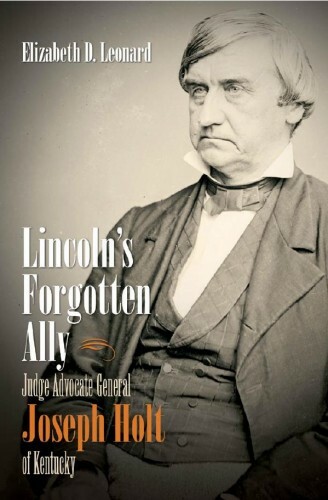 Lincoln’s Forgotten Ally, a look at Lincoln’s judge advocate general Joseph Holt, does just that. Professor Leonard contends Holt’s aggressive prosecution of the Lincoln assassination conspirators and his hard line stance against the post-war South caused his reputation to suffer and his name to disappear from popular history. Joseph Holt, the stern, brilliant, and deeply committed Unionist from Kentucky, spent the first several months of the American Civil War successfully laboring to maintain Kentucky’s loyalty to the Union, then went on to serve as President Lincoln’s judge advocate general. In Lincoln’s Forgotten Ally, Elizabeth Leonard offers the first full-scale biography of Holt, who has long been overlooked and misunderstood by historians and students of the war. Elizabeth D. Leonard is the John J. and Cornelia V. Gibson Professor of History at Colby College. She is the author of several books, including Lincoln’s Avengers: Justice, Revenge, and Reunion after the Civil War. TOCWOC’s Take: Micro-histories of battles, especially Gettysburg, have been popular for quite awhile. Micro-histories of counties and communities are gaining steam every year. However, these studies have concentrated mainly on the South and eastern Northern communities. In this scholarly study, Professor Etcheson looks at a Midwestern community for the first time. The topic is Putnam County, Indiana from 1850 to Reconstruction. 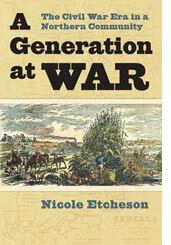 Etcheson’s book is different from typical home front studies in that it expands the time frame from just the war years to a broader spectrum. For all that has been written about the Civil War’s impact on the urban northeast and southern home fronts, we have until now lacked a detailed picture of how it affected specific communities in the Union’s Midwestern heartland. Nicole Etcheson offers a deeply researched micro-history of one such community—Putnam County, Indiana, from the Compromise of 1850 to the end of Reconstruction—and shows how its citizens responded to and were affected by the war. TOCWOC’s Take: I’m kind of surprised by the subject matter in this one. Osprey is well known as a publisher of popular history, so it is unusual to see a topic as obscure as this is appear in an Osprey book, as already noted in a review at Drew Wagenhoffer’s Civil War Books and Authors. Drew has a few reservations about historical accuracy in his review, but I’m interested to read about a topic I know nothing about as well as dig into Osprey’s Raid series format for the first time. I’ll have another preview of an Osprey format new to me in one of the future posts in this series. 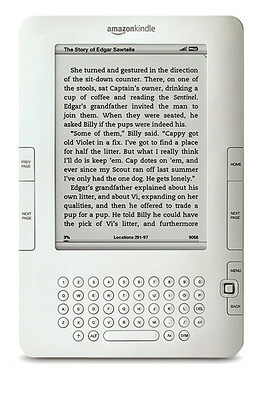 The links to the product reviewed in this article are affiliate links. If you buy this product after clicking one of my links, I’ll make a small amount of money. The possibility of earning something from the affiliate link has not influenced the objectivity of the article and my opinions are honestly offered.